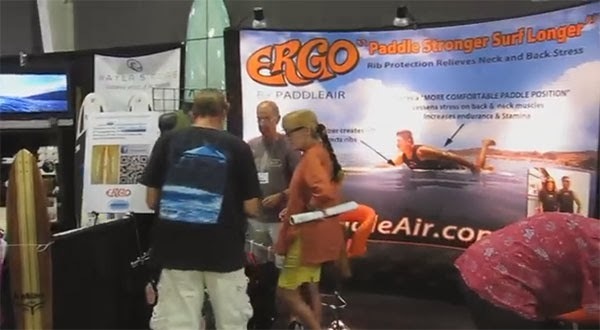 The PaddleAir team had a fun and busy time in our booth at The Boardroom surf show at the OC Fair & Event Center last weekend, October 5 and 6, 2013. Below is a fast video of the Sunday afternoon show actitivy put together by Ralph Chatillon. It features the guitar of Dano Forte and the camera sweeps the action of the booths, the boards, the shaping, and visitors.